11 Years of Delivering Quality Candidates and Exceptional Service that Saves Client’s Time and Resources. Youngbrook Recruitment’s focus on professional value adding in the areas of cost-effective pricing and quality service has seen the company grow from a start-up to an industry leader over the past 11 years. We have secured exclusive contracts with market leaders on major projects and have expanded in Queensland throughout Brisbane, West to the Surat Basin, North to Mackay, and South to Victoria. The Managing Director, Simone Young, reflected on the company’s success by saying, “Eleven years ago, it all started, wondering what my next career move would be, what agency I would join next having tried them all from start-ups to boutiques to global PLC’s. Three interviews later with large firms and three offers in front of me and totally uninspired to accept any of them—I was definitely at a crossroad. I think it is this job seeking experience that sees me connect with the talent I represent, I have been in their position and that feeling never really leaves you. I aim to deliver the best opportunities for candidates that offer them career advancement, stability and security. The best advice that I received at this time was from my parents, which was, “It does not matter if you make mistakes, it means you are doing something and are having a crack at your own thing, if it all goes South you are young enough to get back up.” So, I crafted my game plan and Youngbrook Recruitment was born. It was not always easy, it was a fast start, I was excited, blasting through knocking on doors and being told to come back once I had more “skin in the game”. I remember thinking after my last job I have no skin left that is why I am here. I thought if my name and experience was not enough I needed to build a robust structure around the brand. So, I got Quality Endorsed to ISO 9001 standard, met some good people along the way and most of them are still with us today working in the Management Team or as key service providers. Everything was going great, I was envious of my previous colleagues who had a two to three years head start on me, regretting that I had left this run so late, I employed some Consultants and there were more positions than people to fill them until it came, the GFC. I remember everything stopped overnight, at the time Youngbrook Recruitment only recruited permanent positions and then I heard words like recruitment freeze, moratorium, and rationalisation of headcount. It was time to re-engineer Youngbrook Recruitment, but to what? Then the call came, “I need someone for a day” and I had my lightbulb moment—Youngbrook Recruitment will provide temporary, labour hire and contract recruitment services. For the past nine years, this has been our core business. 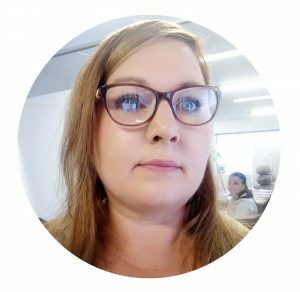 Today, Simone Young possesses over 22 years’ experience in the recruitment industry and has secured major shareholding on major projects, due to Youngbrook Recruitment’s reputation for robust and tested methodologies that sees us leading from the front. We are consistently growing our talent pool through the persistent loyalty of our Field Team and their brand evangelism for our excellent service through our referral program. We are committed to growing our agency further with the appointment of Recruitment Resourcers and Recruitment Managers, who follow our commitment to appointing exceptional people and delivering quality service. I have to say that this journey and the company’s success could not have been possible if it was not for the support of Client’s each year who utilise our service exclusively, as well as the brilliant work the Field Team do across Trades, Technical, Construction, Supply Chain and Support—these individuals are the company’s heroes, it is their company, they represent the Youngbrook Recruitment brand each day and through their effort the company continues to build. So, a personal thank you for believing, educating and doing the best you can do—it is appreciated. To celebrate our 11 years of success we are giving you the chance to WIN a $200 gift voucher to thank you for your brilliant work in our Field Team.